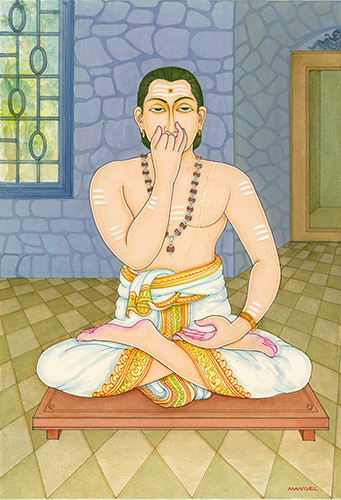 Ashtanga Yoga is the source of Vinyasa and a unique system of practice based on a specific series of postures that are traditionally learned in the Mysore-style. The Mysore method combines group energy, individual intention + commitment and supportive hands-on adjustments. The Mysore method is the most progressive way to practice Ashtanga Yoga. Practice takes place in a safe, self-paced environment that is suitable for all levels, from beginners to advanced practitioners. The Ashtanga system of daily practice works beyond cultivating strength and flexibility, to improve clarity of mind and a meditative awareness in which we are invited to observe circumstances as they arise. Studio 72 provides a unique model from which to build your practice. We offer a shared space and an individualized approach: the ashtanga system provides the structure and adjustments/assists are tailored 1:1 to individual bodies and minds. We are a small studio, with a maximum 10 students on the floor at one time. We offer mysore-style instruction and guided classes. Studio 72 is a place of refuge at the center of our busy lives, here we breath and move. The practice is open to everyone. Studio 72 is home to the Mysore Practice Group [MPG].